It’s just outside South Africa’s third largest city, but visiting the Valley of 1000 Hills near Durban feels unbelievably removed from the modern world. 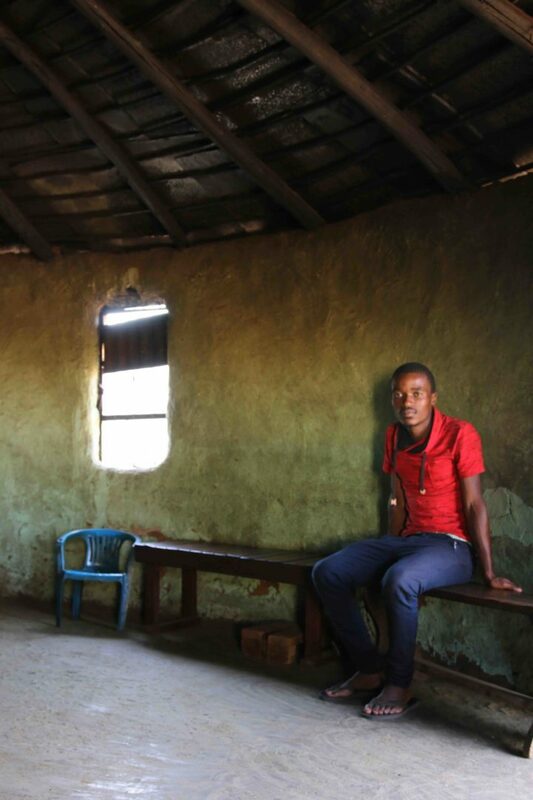 Villages delineated by rivers and mountains, as they were many years ago, this region of Zulu Nation Soothsayers, tribes, spiritual healers, polygamy chiefs (the older generation) and rituals, is hoping tourism will help its community. It’s a cultural tour of people and stories; I didn’t get to see or do everything, namely climb the mountain, or see the local dancing, but I did meet some unique people. Here is a great picture of an intern who chaperoned us all day. He was so quiet I didn’t get his name, but wow, love this shot. It’s also quite inspirational that the young people are so proud of their home. The Durban Green Corridors can arrange transport to the region, to which you can visit the villages, and local store etc., but the most interesting part: ‘witchdoctors! We met up with a Soothsayer, who makes up natural remedies for illnesses. I didn’t have time, but visitors can get him to ‘throw the bones’ revealing their future. The soothsayer I met looked like a young Lenny Kravitz. Really. Wearing black jeans and a polo shirt, and beautiful dreads, Zulu people gave up wearing traditional clothes not too long ago. I told him I get stressed easily and he made me a potion (in a recycled vodka bottle), and a ground powder to inhale before sleeping. Inhale the powder? Sure, I’m up for seeing some unicorns! But, I’m steering clear of unfiltered water. Hospitalised in Peru for dirty water, I learned my lesson. The next visit was equally fascinating. A chief with many wives and many stories. The man we met was born in 1934; he’s been chief for 17 years. When I told him I was from Canada, Jeffery translated for me: “I don’t know where Canada is.” He hasn’t left his province, ever. But sitting on a grass matt on the left side of the room, which is customary for women, I asked about the biggest changes in his community: “Food. Our food today is making youth sick. All the chemicals and things in it to make it last longer are harmful. It used to be an agricultural age, now it’s information age.” Wow, yes, we’re making ourselves sick. Agree. 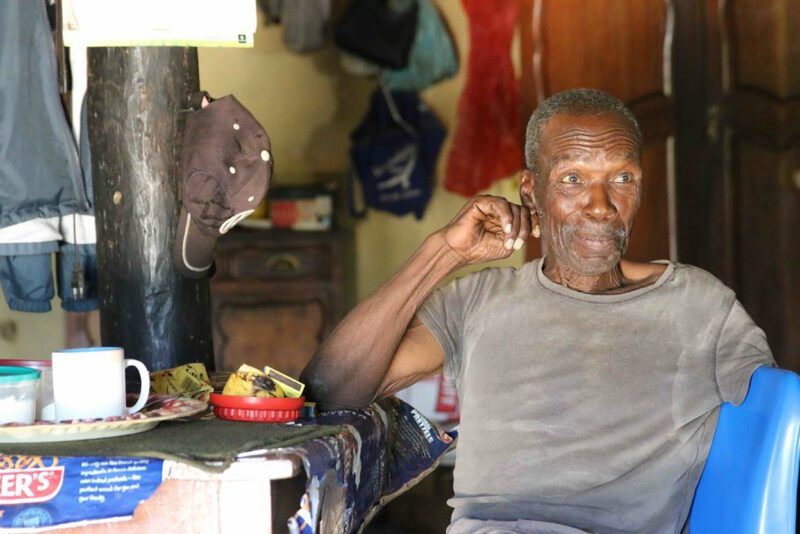 His favourite meal: “pap with maas.” Pap is traditional porridge made from corn; maas is matured milk that sits outside a fridge for a few days to thicken. Like yogurt. Good timing. I was hungry. We drove on a windy dirt road, for what seemed like forever (half hour from village), to a picnic rest stop carved out of the dense forest. We take for granted open spaces in Canada, but here, it’s all bush. But one man had a vision. 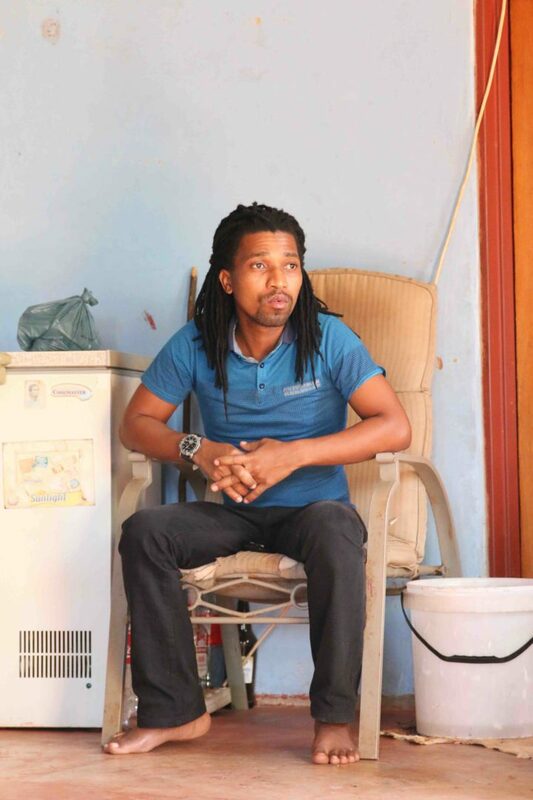 As a child Sibusiso Shangase used to help his dad herd cattle as a kid. They’d often stop in the same place by the river and swim. This was about 1993. 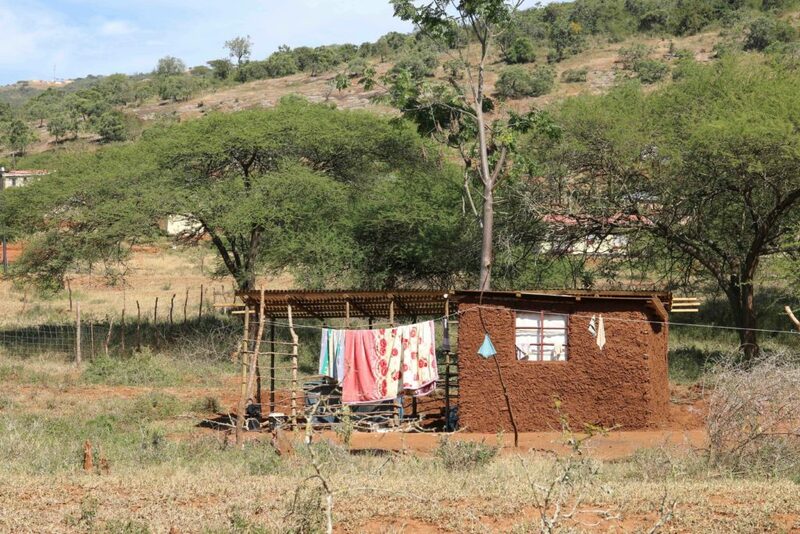 But, the land outside the village is dense bush. So, after years and years – procuring a mower from a local who believed in his dream, and planting grass on his own (without a generator to pump water, he had to wait for rain to water the seeds). Patience paid off. With the help of Durban Green Corridor, and others, he began to slowly clear the area. Today families come to barbecue on the homemade stone stations, sit by the water and play. He charges a small fee (20 rand, $2 Canadian); it helps pay for the 40 year lease, support his family, and maintain the park. “I’m a land owner, ” he says. He repeats this a few times. 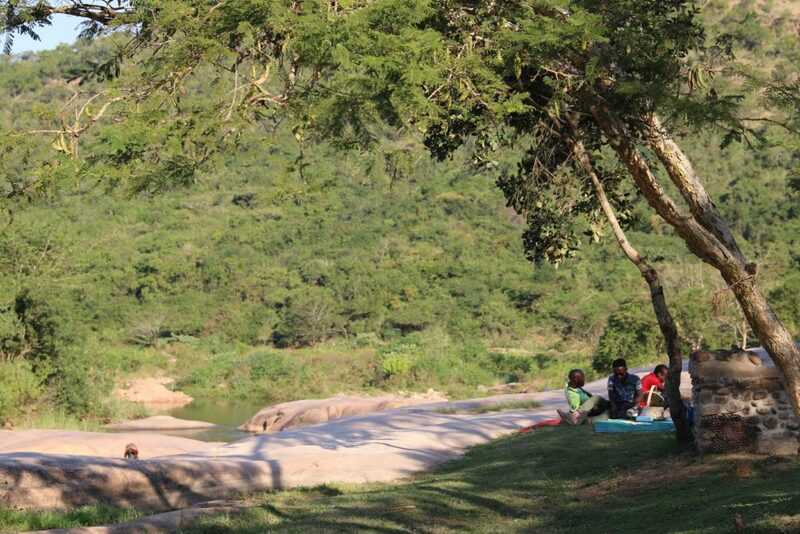 We ate boerwors – traditional South African sausage – by the water. Great end to the day. I am a South African living in Canada (Saskatchewan) thanks for your blog. YOu rode with a mate of mine (Toby) recently, He told me to check your site out. Brings back lots of memories. Maybe I’ll see you on the trails one day eh?